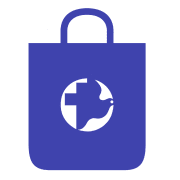 We seek to share God’s love and care for the earth and its people through recycling efforts and a positive shopping experience. A portion of every purchase supports the work of Mennonite Central Committee (MCC). MCC is a worldwide ministry of Anabaptist churches, sharing God’s love and compassion for all in the name of Christ by responding to basic human needs and working for peace and justice. MCC envisions communities worldwide in right relationship with God, one another and creation. We have the 'right fit' for everyone! Whether it be volunteering your time, shopping, or donating merchandise. Need an idea for a group community service project? Contact New Life Thrift Shop to schedule a time to bring your group! Would you recommend NEW LIFE THRIFT SHOP?